WORKERS AND visitors alike are often prohibited from setting foot on building sites without appropriate head protection. In the EU these products are tested, most usually, according to the relevant European harmonised safety standard. The industrial safety helmet is commonly used where there is a risk of being struck on the head by falling objects. The relevant European standard is EN397:2012+A1:2012 (Industrial safety helmets). Mandatory tests include an assessment of the flame resistance of the outer shell alongside the impact absorption and penetration tests. Testing is carried out on helmets after a range of conditioning treatments, including heat conditioning (+50˚C), cold conditioning (-20 ˚C) and artificial ageing by 400 hours exposure to a 450 watt UV lamp. The helmets are conditioned to replicate wear and to establish whether the tested helmet can perform to the required level under any ‘normal’ operating conditions, after service. Impact and penetration tests are done following each conditioning process. The impact absorption test is designed to assess the shock absorbing ability of the helmet and cradle system. A series of impact tests are carried out using a fixed headform (i.e. a helmet mounted on a headform), with a falling mass striker. 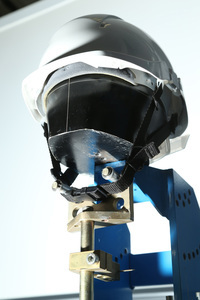 The helmet under test is placed onto a suitable headform, mounted on top of a load cell, which in turn is mounted to a rigid (and monolithic) base. A hemispherical striker, of 5kg mass is dropped onto the helmet from one metre. The force transmitted through the helmet is measured using the load cell beneath the headform. The maximum transmitted force, after suitable signal conditioning (this converts the force into an electrical signal, amplifies it and removes high frequency noises), cannot exceed 5 kN. The impact penetration test is designed to assess the resistance of the shell to impacts from pointed objects. The test method is similar to the shock absorption test, in that a striker is dropped from 1m onto the helmet fitted to a fixed headform. However, in this case, the striker is a lighter pointed cone of 3kg mass. 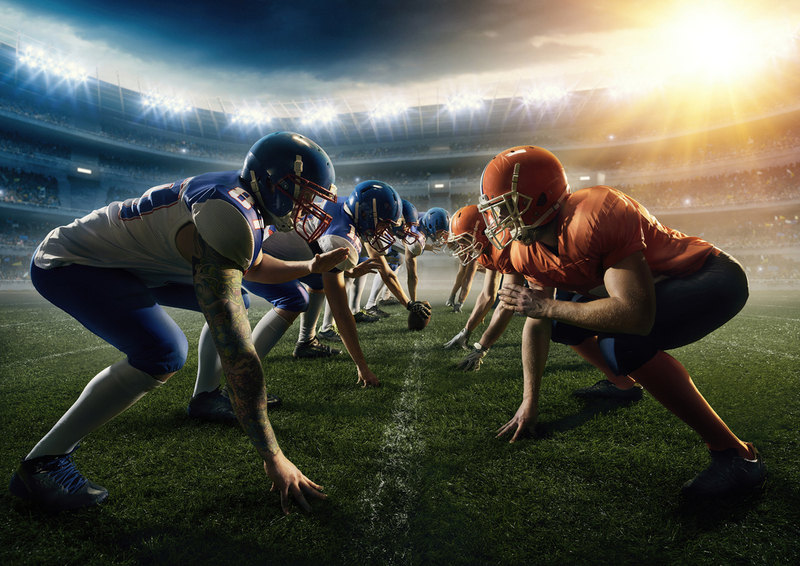 The transmitted force is not measured in this case, but the test requires that the striker should not penetrate the helmet and make contact with the headform. In addition to specific performance requirements industrial helmets, like most specifications, include requirements for the design of the helmet. These cover a number of ergonomics and safety-based requirements, such as clearance between the head and the shell of the helmet. Helmets can only provide protection when retained on the head, therefore, a chin strap may be supplied to ensure retention in typical workplace conditions. EN 397 requires that either the helmet shell or the headband is fitted with a chinstrap or with the means of attaching one, i.e. anchorage points. Any chinstrap supplied must have a minimum width of 10 mm when un-tensioned and be attached either to the shell or to the headband. The strength of the strap anchorage(s) should be sufficient to enable any attached chin strap to hold the helmet on the head but not so great that the strap would become a strangulation hazard. To test this the helmet is mounted onto a suitably sized headform and the chin strap passed around an artificial jaw. A tensile force is then applied to the artificial jaw at a rate of 20N/min until the artificial jaw is released, due to failure only of the anchorage(s). The force at which this occurs shall be no less than 150 N and no more than 250 N.
EN 397 includes a number of optional test on helmets where additional protection is claimed against specific risks. Helmets can claim protection against very high or very low temperatures, splashes of molten metal, electrical voltages up to 440 V, and lateral deformation. Each of these categories include tests to prove the helmet’s suitability for protection against these hazards. It has been recognised that some situations may possibly exist where a typical EN 397-compliant helmet would not provide a suitable level of protection. To enable such products to be recognised as providing a higher level of protection, the EN 14052:2012+A1:2012 (High Performance Industrial Helmets) standard is available. EN14052 builds on the test methods and requirements specified in EN397 to include more onerous tests and requirements, but also to include requirements for additional protection. In particular, high performance helmets are required to provide protection to the front, read and sides of the head. It also includes performance tests for the retention system (typically headband and chin strap), not present in EN397. For these reasons, helmets conforming to EN14052 would need to include significantly more protection (either in terms of padding, cradles or improved materials) than one conforming to just EN397. In terms of the shock absorption requirements of EN14052, the crown (top of the head) impact, is the most comparable to the test in EN397, it is carried out at an energy level of 100J. This is twice the impact energy used in EN397, with the same performance requirement. The off crown impacts (impacts to the front, rear and sides) are carried out at an energy level of 50J, and are assessed differently, using an accelerometer (rather than the load cell used for crown impacts). This is due to the potential for impacting the headform in a plane away from the line with the load cell. Similarly, penetration tests are carried out using a flat blade strike, more closely reminiscent of the testing required for firefighters’ helmets (EN 443) than industrial helmets. Although the energy level is similar to EN397, the significantly smaller, sharper striker makes for a considerably more severe requirement. Again, the striker shall not penetrate the helmet to the point where it makes contact with the headform below. However additionally the maximum force transmitted on impact is included in the test. EN 14052, again, includes similar optional tests to those specified in EN397. An optional test for radiant heat similar to that specified for firefighters’ helmets (EN443) is included. Safety helmets are not always the most appropriate form of protection, especially when the actual risks to the wearer are less severe. In these cases, it can be more appropriate to wear a bump cap. Bump caps are intended for use when there is a significant risk of impact between the head and stationary objects, such as low ceilings or hanging items. Where there is a risk of impact with moving objects of any type, an industrial safety helmet (in accordance with EN 397:2012) must be used. 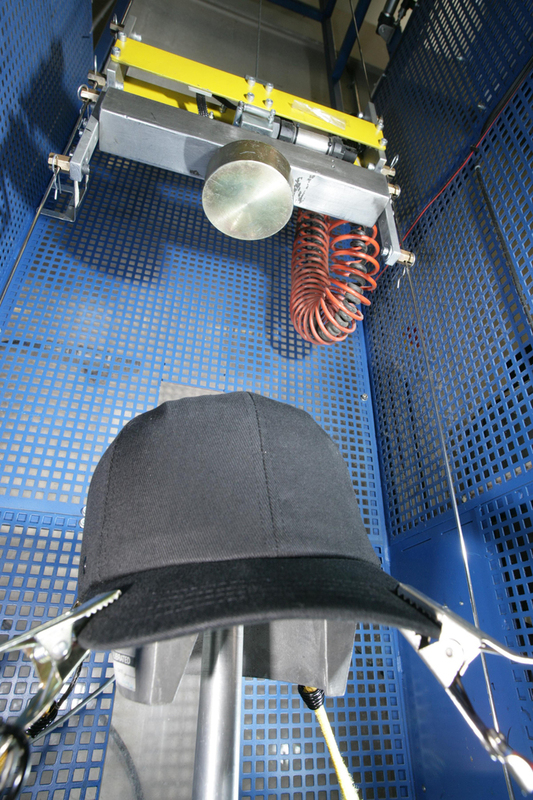 For bump caps essential safety requirements are defined in EN 812:2012 (Industrial Bump caps). The tests and requirements are similar in principle to those in EN 397, but the lower level of severity reflects the reduced level of protection associated with the caps (compared to safety helmets). As with the industrial helmet standard, EN 812 includes requirements for the design of the bump cap as well as essential performance requirements. As the primary function of a bump cap is to protect the head against impacts, an impact protection test is a mandatory requirement. Impact testing is carried out after the same conditioning used for EN397 helmets, and is performed in a similar manner. An impact energy of approximately 12.5J is employed for testing. Impacts are carried out on the front of the bump cap, with the fixed headform tilted at angles of 30° and 60°, and on the rear. This difference reflects the nature of the impacts on bump caps, which tend to occur from walking or reversing into things. A maximum transmitted force of 15kN is permitted. In addition to protection from blunt impacts, bump caps are also intended to provide limited protection against sharp objects. The sharp object penetration test involves a falling striker, similar to the EN397 helmet test, but using a 500g conical point striker. The transmitted force is not measured but the test requires that the striker should not penetrate the cap and make contact with the headform. Similarly to industrial safety helmets, bump caps can, optionally, claim protection against other hazards (e.g. electrical hazards). Under the PPE Regulation (EU) 2016/425 most Industrial Helmets are typically classed as category II PPE. Before placing on the market in the EU, a type approval model helmet and associated documentation must be reviewed by a Notified body such as SATRA and a type examination certificate issued. Bump caps provide protection against lower risk but are also considered as Category II PPE under the EU Regulation. If the products claim protection against recognised risks of mortal danger or irreversible damage to health, such as high voltage protection, then they will come under Category III, and ongoing monitoring of production must be carried out by a Notified Body. SATRA can certify helmets to all the above standards, along with testing and certifying many other types of head protection.